It’s well known that it costs more to gain a new customer than to keep an existing one. In fact, in the book “Leading on the Edge of Chaos”, Emmett C. Murphy and Mark A. Murphy find that the costs to acquire a new customer can actually be FIVE times greater than retaining existing ones. That’s a huge difference! 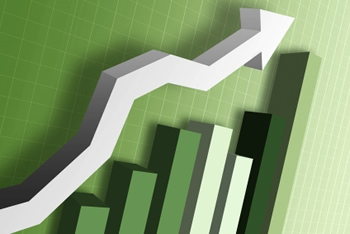 So how do you leverage your existing customer base in order to increase revenue? There are two basic ways – either increase their AOV, or increase their order frequency. An upsell is when you convince a customer to buy a better or more feature-rich product than the one he is already considering. For example, if someone is purchasing a new laptop from Dell, they offer Microsoft Office Starter for free, or you can upgrade to the Home and Business or Professional version for an additional fee. This is similar to an upsell, but actually involves getting the customer to buy additional products that complement or enhance what they are already purchasing. 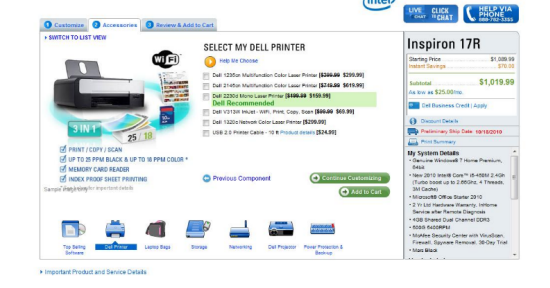 So Dell might cross-sell to a customer by offering them a printer to go along with the laptop they are already buying. So while an upsell is a substitution of a more expensive product, a cross-sell is an addition to the order. The more you know about your customers, the better you can recommend products that meet their needs or appeal to their tastes. Some data that might influence targeted recommendations? Geographic location, age or gender, and what they have browsed or purchased in the past. More specific examples might be whether the customer is a Mac or PC user, or whether a shoe shopper prefers running or cross-training. Everyone loves a deal, and many products are suited to buying in bulk. After all, this is why stores like Sam’s Club and Costco are so successful. Volume pricing is where the per-unit price decreases depending on the quantity. So if you sell one unit for $19.99, you might offer a 3-pack for $17.99 each, for a total of $53.97. You’ve almost tripled your order value, and even though your profit-per-unit decreases slightly, you are making it up on volume. This one concept is one of the keys to Zappo.com’s success, and one many of us can easily follow. Meet all customer expectations, and whenever possible, exceed them. Offer only high-quality products, make sure you fulfill orders in a timely manner, and communicate with your customer every step of the way. This includes status emails and tracking information, and a follow-up note to make sure they are satisfied. For your most valuable customers, send a handwritten note with the shipment, and include a coupon code for a discount off their next order. It’s personal, valuable, and MEMORABLE, and it can be wildly successful. Make sure to address the customer by name, and to include your name (even if only a first name) when signing the note. Focus some quality time on your permission-based email marketing. Start a mailing list if you don’t already have one, and give customers a chance to sign up during checkout. Also feature a signup form prominently on your site. Keep the form above the fold, and on as many pages as possible. 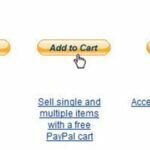 Then use the mailing list to send out details of new products, sales and closeouts, and gift ideas. Many stores sell products that customers purchase more than once – for example, vitamins, craft supplies, or golf balls. If you sell these kinds of “consumable” products, offer customers an express reorder capability. This is a page that shows items from the customer’s previous orders, with quantity boxes next to each one and an “Add All Checked Items” to cart button at the bottom. 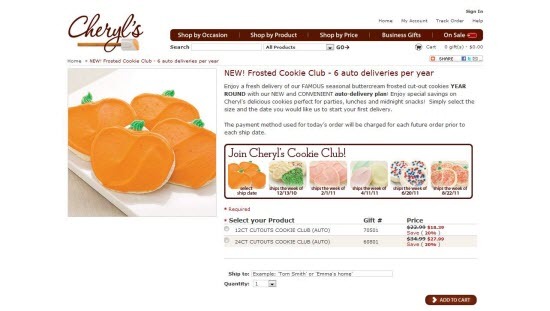 Another similar option is a product that comes every month, such as ProFlowers’ “Flowers of the Month Clubs” or Cheryl’s “Frosted Cookie Club” product. Not only do you get a sale for each shipment, the arrival of the product reminds the recipient of your business and products. Talk about a win-win scenario! Remember that your customers are your best asset. Without them, you have no business, so appreciate them and focus your energy on meeting their needs. One more tidbit about repeat customers: they also like to share their experiences with friends. So that’s free marketing to new people that works way better than pay-per-click to the masses!